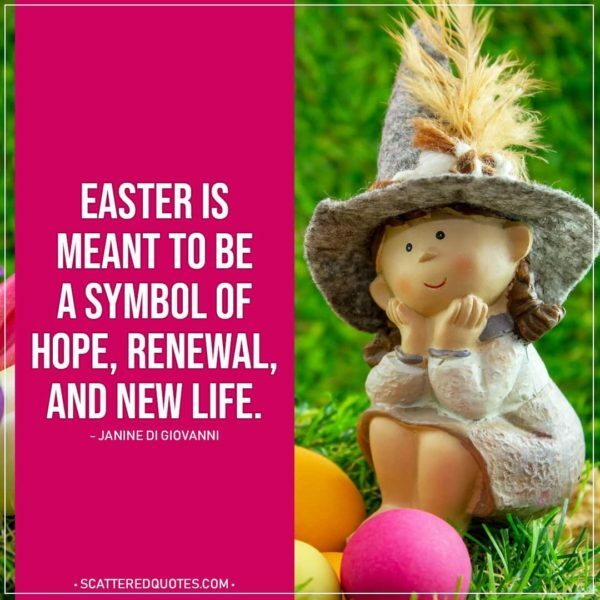 The Easter eggs symbolize our ability to break out of the hardened, protective shell we've surrounded ourselves with that limits our thoughts and beliefs. As we break open our hearts and minds we discover a transformation to new, life enhancing thoughts and beliefs. If Easter says anything to us today, it says this: You can put truth in a grave but it won't stay there. Easter egg hunt motto: May the odds be ever in your favor. 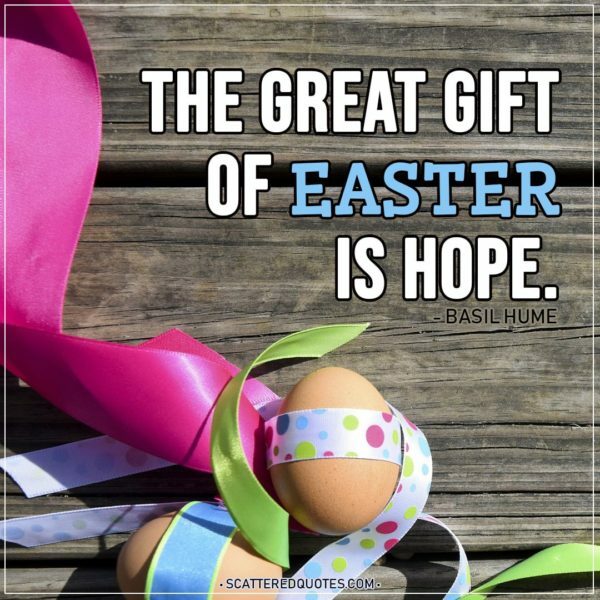 2.4.2019 The great gift of Easter is hope. Golf is just the adult version of an Easter Egg Hunt. Follow the bunny, he has the chocolate. 2.4.2019 Follow the bunny, he has the chocolate. No thanks, chocolate Easter bunny; I have enough men in my life who are hollow and full of disappointment. We live and die; Christ died and lived! 2.4.2019 We live and die; Christ died and lived! Egg hunts are proof that your children can find things when they really want. Easter is so full of important decisions, it's just becoming too stressful. 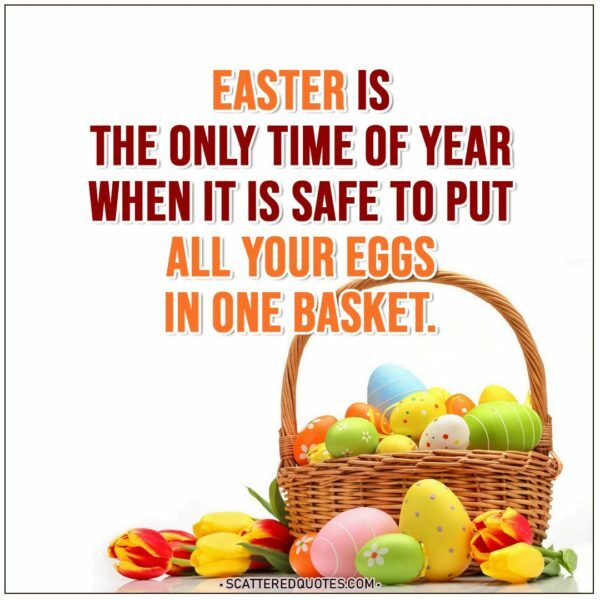 Let's see… should I eat the chocolate bunny or jelly beans first?